In 1991, Congress passed the Omnibus Transportation Employee Testing Act. 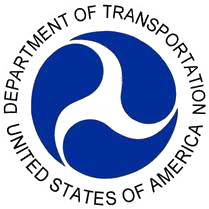 This act mandated that people who work in safety-sensitive positions in the transportation industry - The Federal Department of Transportation Regulation encompasses all employees in a position of possibly causing harm to the general public by being impaired with alcohol or drugs. These include not only the millions of truck drivers, hundreds upon thousands of commercial pilots, air traffic controllers, flight attendants, boat/ship captains, train engineers, bus drivers, gas line welders, pipeline workers and under California State law, all taxi drivers and limousine operators are subject to drug and alcohol testing which requires the United States Department Of Transportation agencies and entities to perform such testing. The Department of Transportation (DOT) requires companies employing individuals performing safety sensitive jobs to conduct the following types of drug and alcohol tests: Pre-Employment. If you are a person who works in a safety-sensitive job, and you fail (or refuse) a test, your employer is required to immediately remove you from safety-sensitive positions until you have: Undergone an evaluation by a DOT licensed Substance Abuse Professional (SAP). Successfully completed any course, counseling or treatment prescribed by the SAP. Undergone a follow-up evaluation by the same SAP to determine if you have complied with their recommendations. Provided a breath or urine specimen which tests negative for drugs or alcohol. Under CFR 49 Part 40, an individual with a POSITIVE urinalysis drug screen MUST be referred to a Qualified Substance Abuse Professional (SAP). United States Department Of Transportation Substance Abuse Professional Darrell Hartley will conduct a face-to-face clinical assessment, oversee your case, conduct a DOT/HIPPA compliance interview and provide a follow-up testing schedule.